We discover something new each time we visit the astonishing city of Shanghai. The warmth of the old city coexists with the modernity of the powerful skyscrapers of the new city in a very unique way. 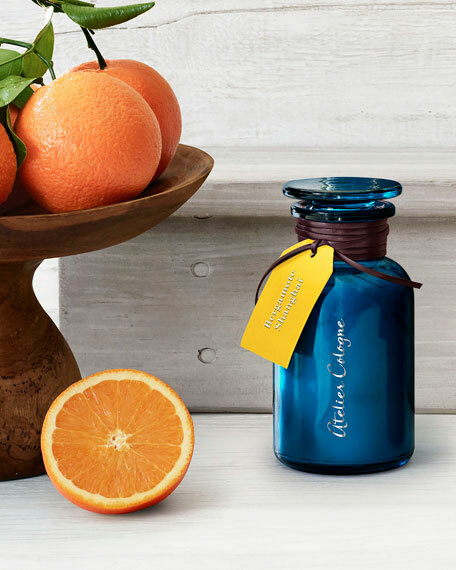 With Bergamote Shanghai, we wanted to recreate this contrast with a floral and green bergamot blended with sparkling and earthy notes of vetiver and juniper berries. 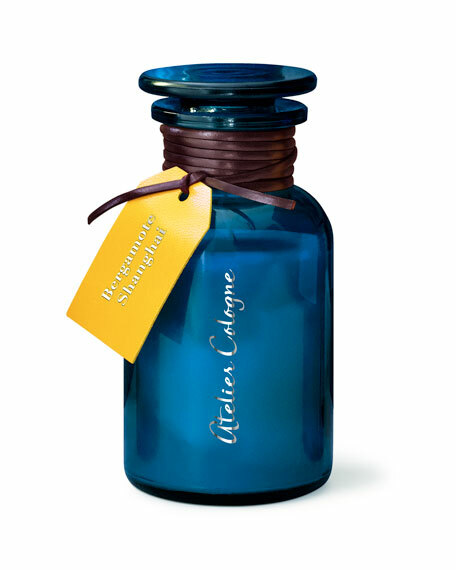 Personalize every aspect of your beautiful Atelier Cologne candle! You have the option of adding a tag to the candle to be engraved with a note, name, or initials, as well as on the tag for the gift wrapped box. When checking out, simply add your message for the candle tag on the first prompt, and then write the same or a different message on the second prompt for the gift wrap tag on the outside.